English: Tube TV-set of 1957-60, model OT-1471 "Belweder". 14-inch screen diagonal. Designed & made in Poland. / Telewizor "Belweder". 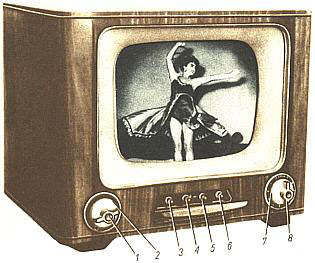 Tube TV-set of 1957-60, model OT-1471 "Belweder". 14-inch screen diagonal. Designed & made in Poland. / Telewizor "Belweder". Development Cooperation Handbook/Issues/Do developed and developing nations agree on the road map for global development? Development Cooperation Handbook/Issues/Does international aid really benefits the target populations? Development Cooperation Handbook/Issues/How can local policy actors contribute to the achievement of MDGs and other global policy objectives? Development Cooperation Handbook/Issues/How to design and manage successful cooperation programmes? Development Cooperation Handbook/Issues/What is the relationship between "Global" and "Local" agendas and responsibilities?